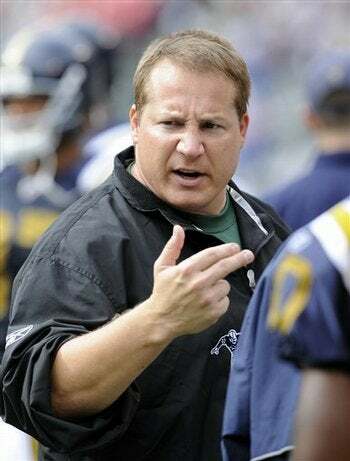 Eric Mangini wants to bring a fresh start to the Cleveland Browns franchise. And he won't have any pesky tributes to team luminaries interfering with it. The Browns' new head coach/mob restaurant frequenter recently ordered that a giant mural at the team's practice facility, featuring such legends as Jim Brown, Otto Graham and Paul Brown, be given the ol' Berlin Wall treatment. In its place at present is a blank wall, painted white. Either he intends to replace the mural with something he deems to be of even more significance, or he is a really, really big fan of shadow puppets. While certainly bold, the move is not without precedent. Back in 1945, Chicago Cubs manager Charlie Grimm became fed up with his team's annoying tradition of making it to the World Series. So he instituted a strict "no goat" policy (goat's blood being a popular performance enhancer at the time). And the rest, as they say, is history.